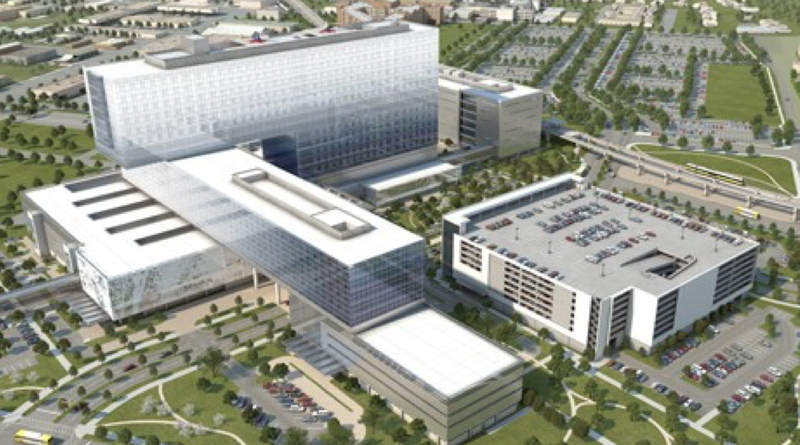 Parkland Hospital | Performance Contracting Inc. The new 2.8 million-square-foot Parkland campus is located on the northeast corner of Harry Hines Boulevard and Medical District Drive. At nearly twice the size of the old hospital, the 870 single-patient rooms with private bathrooms and space for families and visitors offer just one example of the improvements for patients in the new facility. PCI performed the Mechanical and Plumbing insulation on the project.